The ancient art of hand lettering has thrived even in the age of typing and texting. Its quirks and flourishes infuse the written word with personality and offer a graphic way to express its meaning. 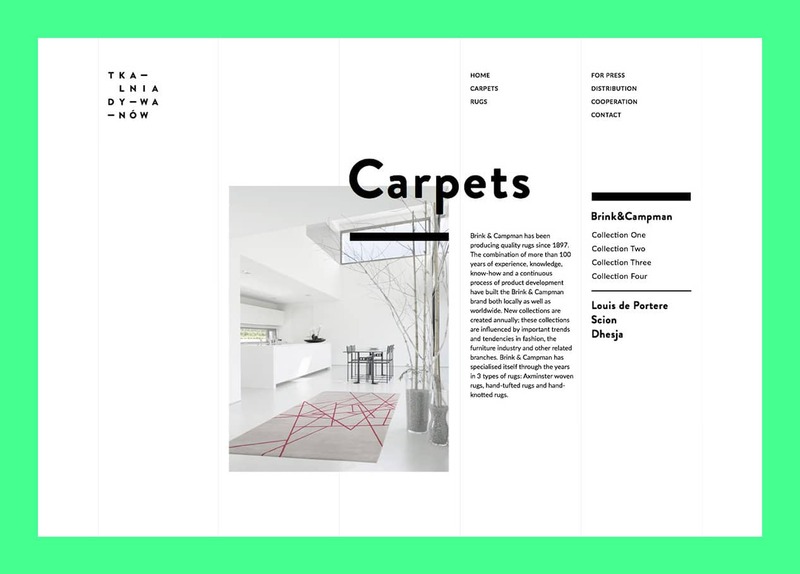 My Modern Met Co-Founder Alice Yoo fell in love with this facet of graphic design, and it was part of the inspiration behind her new company, Skylar Yoo. Finding strength from empowering phrases like “Girls to the Front,” artists from around the world have hand-lettered these inspirational quotes. Skylar Yoo has placed them on apparel, art prints, and accessories that are specially designed for women. “The inspiration for [Skylar Yoo’s] first collection came from witnessing a historical day, January 21, 2017,” Alice writes. “In the single largest protest march in human history, women and men came together to ask for governmental change. The Women’s March brought out five million people in 700 marches worldwide to advocate for women’s rights.” Skylar Yoo encourages ladies to be bold, shatter the glass ceiling, and work to create a life they love. Skylar Yoo’s first collection of hand lettering quotes are visually striking and exciting to see. Clad in bright colors and a variety of graphic styles, the words come alive on t-shirts, enamel pins, and museum-quality prints. They are meant to be proudly displayed on yourself or in your home. They are also intended for you to spread the positive messages, making them the perfect gift for the hard-working woman in your life. We spoke with Alice about her journey to creating Skylar Yoo, her love of hand lettering, and where she wants to go from here. Read our interview with her, below. My Modern Met Co-Founder Alice Yoo started the company Skylar Yoo that uses beautiful hand lettering to illustrate empowering quotes for women. Scroll down to learn more about Skylar Yoo! How did you decide on the phrases that were hand-lettered? Which one (or ones) resonate with you the most and why? I deliberately chose words and phrases that would resonate with the modern woman. I quickly learned that phrases like “Girls to the Front” and “Fearless Girl” applies not just to women but to young girls as well. I’m already getting requests to create a toddlers and youth line so those are in the works. 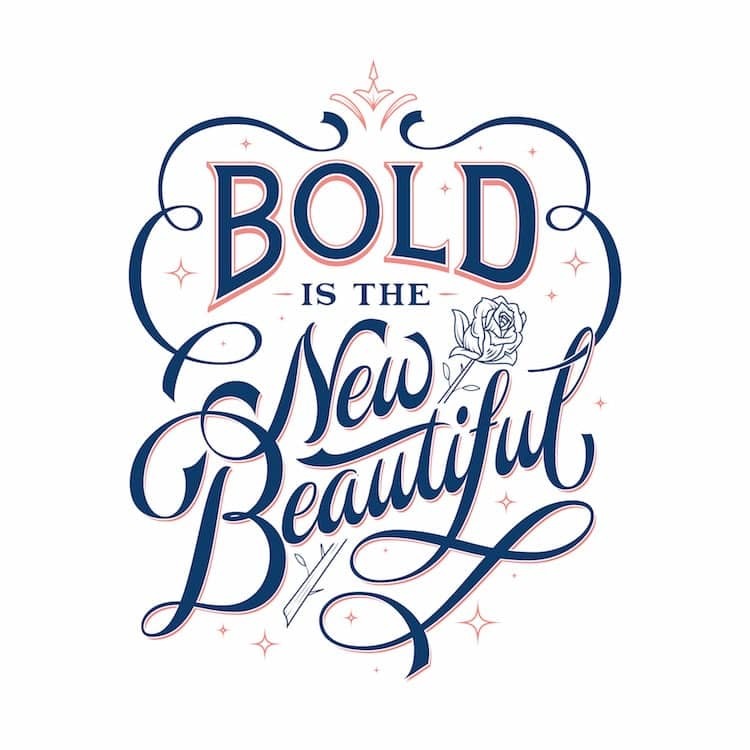 The phrase that resonates with me the most is “Bold is the New Beautiful.” I created that myself but it was inspired by photographer Kate T. Parker’s “Strong is the new pretty.” I think today’s definition of beauty has changed. We now admire women for their boldness, their strength, their determination, and their resilience. In the process of creating Skylar Yoo, what did you learn about the hand lettering process? You share some very personal things on Skylar Yoo. What led to your decision to do that? Does that speak to your larger mission? In the Skylar Yoo About Us page, I opened up about my personal life and shared one of the hardest times in my life, being locked up in a psychiatric hospital for six weeks. I also shared that I am bipolar. Our motto at Skylar Yoo is, “Be Bold.” If I can’t embody that phrase, how could I ask others to? Also, 10% of all of our profit will go to two charities. 5% will go to fighting for women’s rights and 5% will go to raising awareness of mental health. Both causes are near and dear to my heart. What was it like to go from writing about artists to playing art director? How much input did you put into the style of the hand lettering? Writing about artists for My Modern Met and exposing new art to people was always a thrill. I’d often get these “thank you” emails from artists telling us that, by giving them exposure, we helped change their lives. However, with Skylar Yoo I actually got the chance to choose phrases and pick artists who I thought could bring certain words to life. Then, if something didn’t feel right I could ask an artist to “go back to the drawing board” or just make minor tweaks. It was also fun playing with colors. (I never knew how much I loved the color red!) The fourteen artists I worked with let me be part of their creative process. That was more fun than I could have ever imagined. Which lettering artist surprised you the most with their work? I would say that artist Tobias Saul constantly surprised me with his talent. I’d give him a phrase and he’d just turn it into this incredible work of art. When I asked him to create a time-lapse video he didn’t hesitate, he was totally game. Maddy Nye is another artist who really sticks out in my mind. She’s behind “Girls to the Front.” When I told her about my mission, to inspire and empower women, she gave me a huge discount, telling me she believed in what I was doing. That gave me a lot of confidence that I was on the right track. Where do you intend to take Skylar Yoo from here? I call this company Skylar Yoo because Skylar is what I would have named my daughter if I had had one. I have big dreams for her. One day, I’d like to create an online and offline magazine featuring bold women, especially women entrepreneurs. I subscribe to Inc., Entrepreneur, Fast Company, and Forbes and whenever I read an article on a successful woman entrepreneur, I immediately get chills. My Modern Met granted permission to use images by Alice Yoo. The post Interview: ‘Skylar Yoo’ Inspires All Women to Be Bold with Powerful Hand-Lettered Quotes appeared first on My Modern Met.